People keep talking about what they’re giving up for lent—even if they’re not religious, they seem to dig the challenge. It’s like a pious double dog dare. I’d happily give up a number of things including exercise, doing laundry, unloading the dishwasher and/or working for a living. But that’s not the point though, is it? We’re not religious, so no Lent for us. Only lint. Specifically belly button lint. How does fluff collect in a man’s navel anyway? I’m both intrigued and disgusted by this topic. 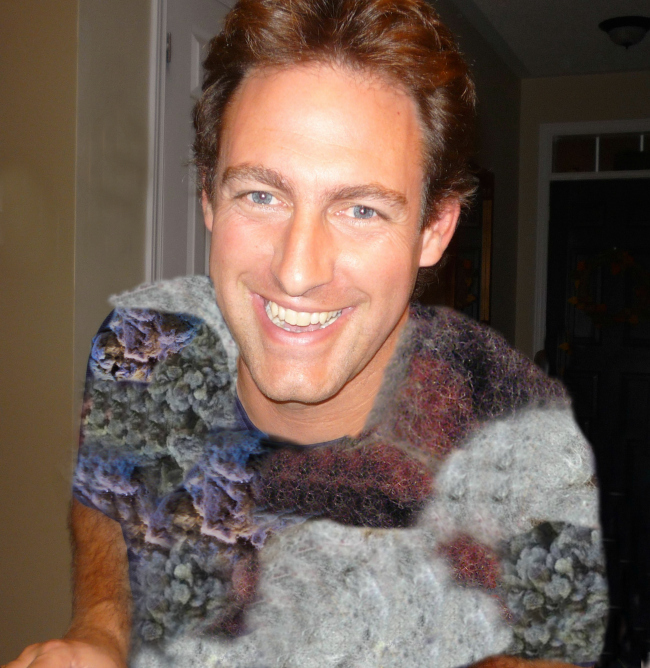 My scientific navel lint theory: A man’s body hair acts like cilia, snagging, then waving stray t-shirt and sweater fibres toward the belly button where it falls in and collects. I can’t tell you how many tiny belly lint tumbleweeds have collected at my feet in our bathroom over the years. I finally snapped the other night and threatened my husband with bodily harm if he didn’t pick up his belly wool from the floor and put in the trash. “It’s just fluff,” he told me confused by my miffitude. “JUST fluff? !” I responded incredulously. I implored him to pick up all future lint…or else. I believed he was following protocol until yesterday when the cat strolled out of the bathroom with a massive linty ball impaled upon a whisker. For real. He ran off and groomed himself clean before I could take a photo. 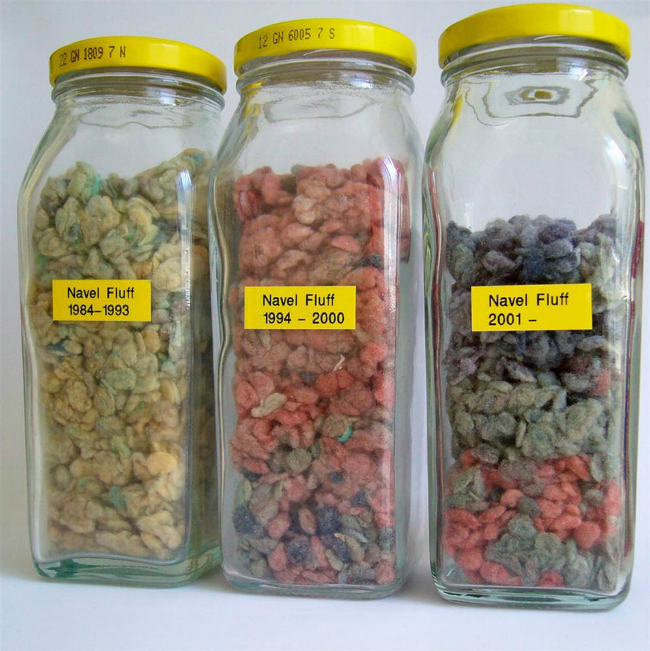 Years ago, when I first became aware of belly button lint, I joked with my husband that we should collect it in a jar. How funny/odd would that be? I have since warned my husband that if refuses to dispose of his errant lint balls, I will be forced to collect them myself. And in about thirty years, I will use the belly button bounty to make him a naval lint sweater. And since I can’t knit, I will have to hot glue the lint balls to a t-shirt which I will force him to wear every Sunday when we don’t go to church. P.S. What do you get the man who has everything? This. *I wonder if anyone has thought of weaving with shower drain hair?